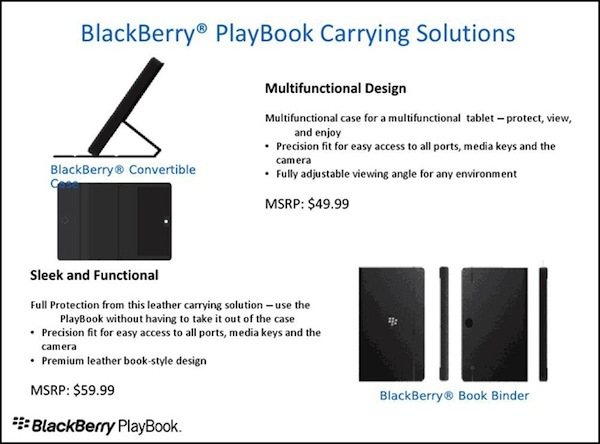 Update: BlackBerry PlayBook Cases and PlayBook Accessories Now Available at ShopCrackBerry.com! 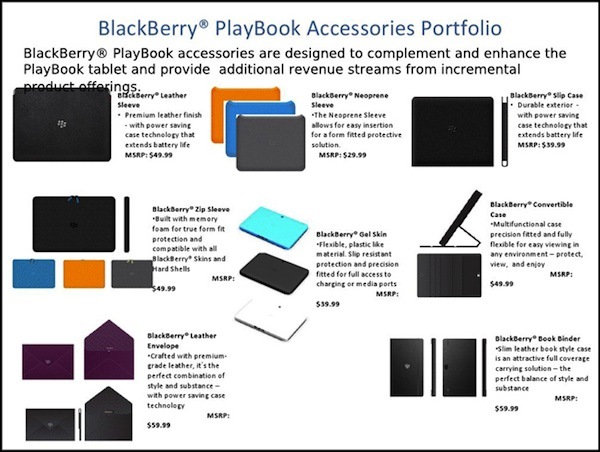 Some leaked internal slides from RIM popped up today showing a variety of BackBerry PlayBook accessories compelte with pricing. We saw most of these live and in color back at CES, but while they were all on display we didn't get much more info on pricing or availability. 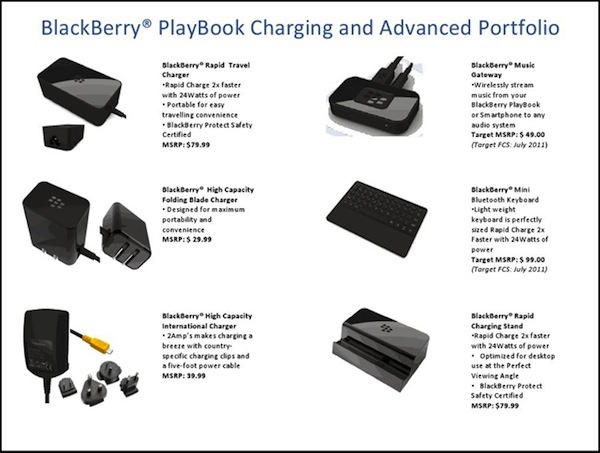 The slides show most of the PlayBook cases and sleeves as well as the charging pod, rapid charger, mini Bluetooth keyboard and revamped Bluetooth music gateway. Overall a pretty good look at what to expect for accessories on launch day. Keep reading for more images.